Sometimes, my curls go missing. As a type 2c, my waves can range from curly and bouncy to loose and shapeless depending on my the products and techniques I use, the weather, and the overall health of my hair. And when they "go missing," or straighten out, a curly hair hiatus can last anywhere from a week to months until I can figure out what my hair is trying to tell me. Here are 5 methods that have helped me bring back my curls when they go missing. Wavy, curly and coily hair is more susceptible to dryness, and dryness can cause a whole host of issues from frizz to breakage and in my case, I have found that it contributes to a loss of curl pattern. To remedy this my first step is always to deep condition. I would be lost without my Hair Therapy Wrap. I apply deep conditioner to my damp hair in sections so that it is fully saturated, then pop the Wrap into the microwave for 48 seconds. Do not microwave it for too long, even if it doesn't feel warm to the touch it is done at 48 seconds, any more and the gel inside will start to melt. Then I place the Wrap over my hair for 30-45 minutes. It is the ultimate Sunday treat and will increase the benefits of your favorite deep conditioner for your hair. One of my favorites is the Ouidad Curl Recovery Melt-Down Extreme Repair Mask (watch my full review here). I bleached my hair blonde last year and since then my curls have been far more prone to breakage and damage. I very rarely heat style my hair, but now that it is damaged I find it much more difficult to bring my curls back to life after a heat styling session. If you use permanent hair dye, bleach, or heat on your hair then it is possible that your curls are damaged. One of the best weapons in my toolkit for this has been protein-rich products and treatments. Protein-rich products work to temporarily fill the gaps in your hair strand that have been caused by chemical processing, heat styling or normal weathering. One of my favorites is the Aphogee Keratin 2 Minute Reconstructor, and here is a full list of 20 protein-rich products if you're interested in trying one out. I used to be able to let my hair air dry overnight and I would wake up with beautifully formed waves and curls, but lately my waves will only form into loose ringlets with the help of a diffuser. If you feel like your hair has the potential to be curly but you just do not know how to bring your curls out, I recommend you try diffusing it when it is already 50% dry. It may take a few tries to get the hang of it, I know that the first few times I tried diffusing I experienced a frizz halo, but CurlySuzy's tutorial for the Pixie Curl Method changed everything for me. I have tried both the Spilo diffuser attachment and the DevaCurl Devafuser with great success. I could be using the most powerful Holy Grail curl cream ever made, but unless I scrunch that product into my hair it is not going to curl. Wavy hair can easily be weighed down by water when it is soaking wet from a shower, or by products with a thick or creamy formula, so it is important to counteract this by scrunching your fingers through the hair with an upward motion. This will also aid clumping and prevent the dreaded crunchy curls look. Make sure when scrunching to be gentle, you do not want to pull the curls apart because this will create frizz. If you have tried all of these methods and your hair still will not curl, then it is time for a trim. Not a dusting, not a search and destroy session, but an actual trim and possibly a reshaping. Protein and conditioning treatments can do their part to mend damage temporarily, but a long-term solution is to trim away the damage and then take better care of the healthy, new growth. 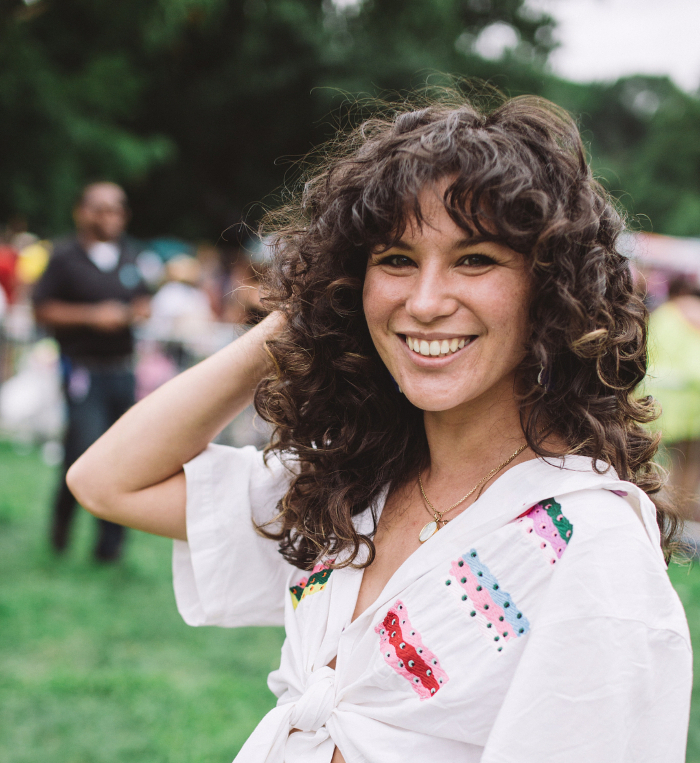 Long hair can weigh down your waves, so depending on your curl pattern, many wavies find that when they get a shorter haircut their curl pattern becomes curlier. I know this has proven true for me. Do you have any tricks that help you bring back your curls when they go missing? You can find my favorite products and watch my full regimen step by step here.